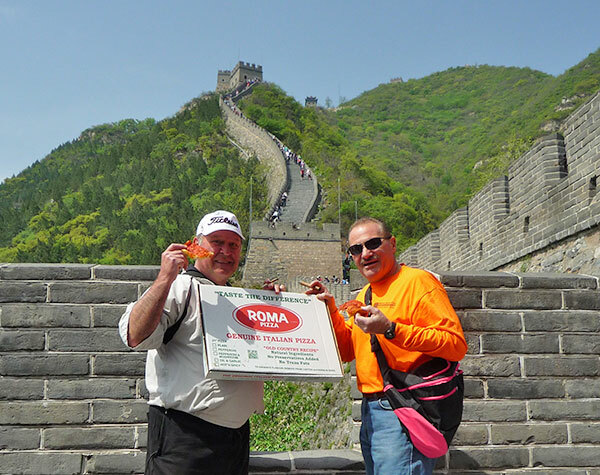 Whenever our friend Romeo Palombella travels he takes Roma Pizza with him. “When I get to my hotel room after a long flight it really hits the spot” he says. “And I don’t have to wait in line or order room service”. Well Romeo we are happy to oblige. Maybe next time one of us will come along. Happy Trails!